Honda Canada revealed what it calls a “youthful, sporty” 2018 subcompact Fit on Monday. 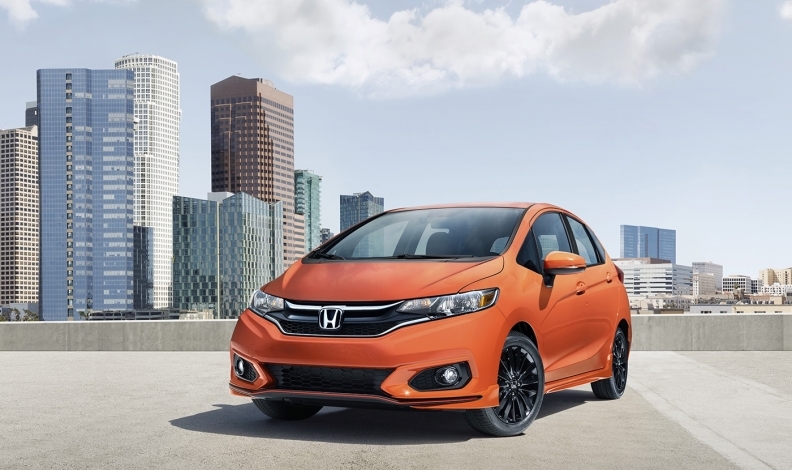 It marks the third-generation Fit’s first update since the launch of the 2015 model during the 2014 calendar year. The refresh comes as sales of the vehicle continue to sag in Canada. Honda has sold just 536 units during the first five months of 2017, down 50 per cent from a year ago. More in-depth information about the upgrades to the 2018 Fit, including expanded feature content and pricing will be available in the near future, the automaker said. The new Fit Sport trim line is positioned between the LX and EX trims, and comes with an even more aggressive and sporty look, including aero form features at the front, sides and rear. It also comes with an exclusive black finish on the 16-inch alloy wheels. The 2018 Honda Fit has new, sportier styling and integrated and sophisticated headlights that blend into the side edges of the upper fascia’s wing creating a more aggressive design. “With sporty new styling and additional feature content, the 2018 Honda Fit ups the ante with new styling and sophistication not typically found in the subcompact segment,” Jean Marc Leclerc, senior vice-president of sales and marketing said in a statement.